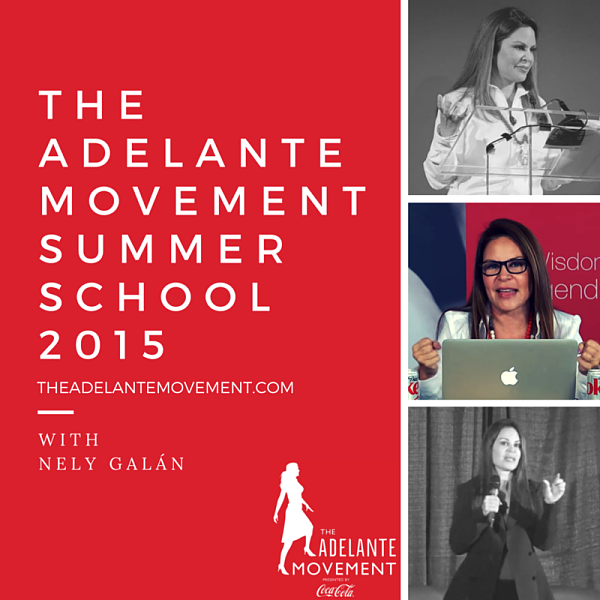 The Adelante Movement: Donald Trump's words pain me! It pains me to hear the words of Donald Trump. Words can be so hurtful! Since human beings tend to only remember the negative things they hear (even if they are not true), words like Mr. Trumps can create harmful thoughts in the hearts and minds of so many for so long. So many of you have emailed me about Donald Trump’s words, since you know I was on Celebrity Apprentice. This is not the Donald Trump that I met or worked with, however, it is amazing to me what people will say or do to win electoral votes, and then when they continue to defend those words and not apologize, I guess it means they mean it! My mother always reminds me that the greatest thing about the United States, and about being an American, is freedom of speech- everyone has the right to say or think whatever they want, but us ladies have the right to buy and vote for whomever we want - and that is our greatest power! I remind you that we control $1.3 trillion of the US economy in buying power. I am proud of Univision for standing up and supporting the millions of Mexican and Mexican-Americans that watch their network and that are the backbone of this country. It is time we follow the courage of the African American, the Jewish and LGBT communities in standing up and speaking up in support of our own. I am proud to be a Latina today! We need to go get our own chips today!